Making butter at home can be incredibly easy. This Howtoons shares a simple method with tasty results. All you need is heavy cream, salt, and a jar with a lid. Combine all the parts and shake vigorously for at least 5 minutes. This process will result in two byproducts, butter and buttermilk. Simply pour the contents of the jar through a filter and enjoy your delicious butter! 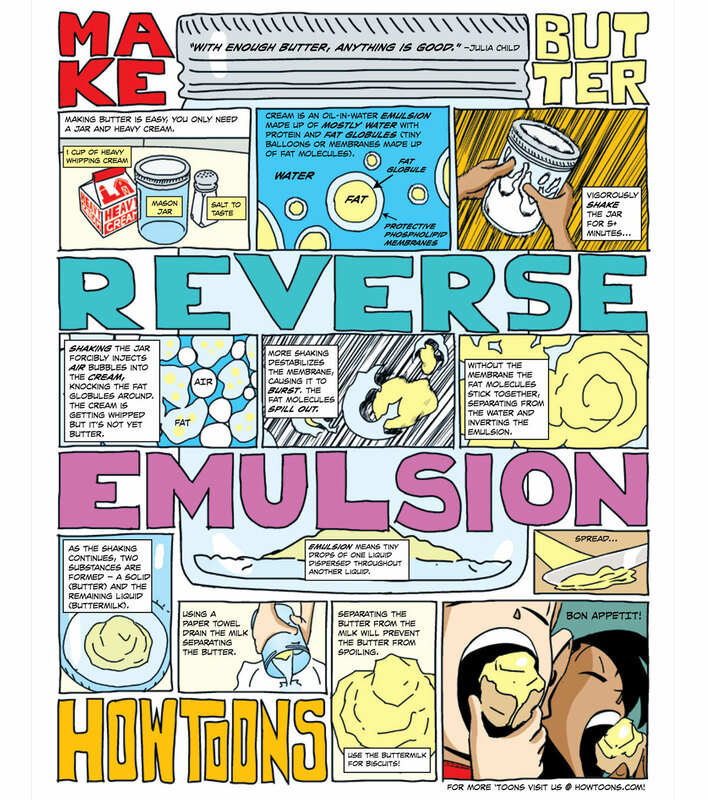 Click here to see the larger version of the comic and learn about the science behind this project!